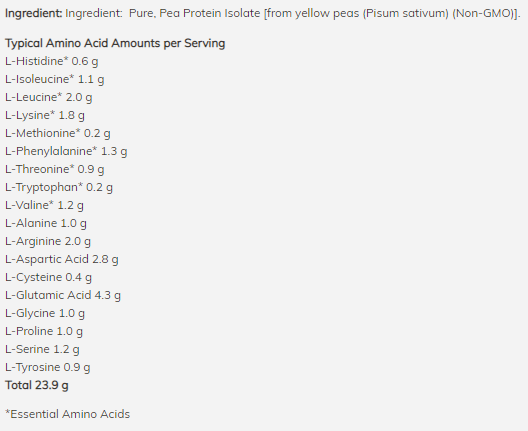 NOW Sports Pea Protein Powder is pure and natural, unflavoured, and mixes easily into your favourite beverages. Peas are well known for being a highly bioavailable protein. Additionally, they have no major allergens. Collectively, this makes pea protein an ideal source of post-workout nutrition for athletes who may have difficulty supplementing with other types of protein. 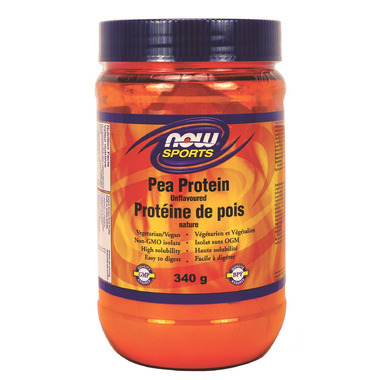 NOW Sports Pea Protein is a Non-GMO vegetable protein isolate that has 24 grams of easily-digested protein and is an excellent source of iron. 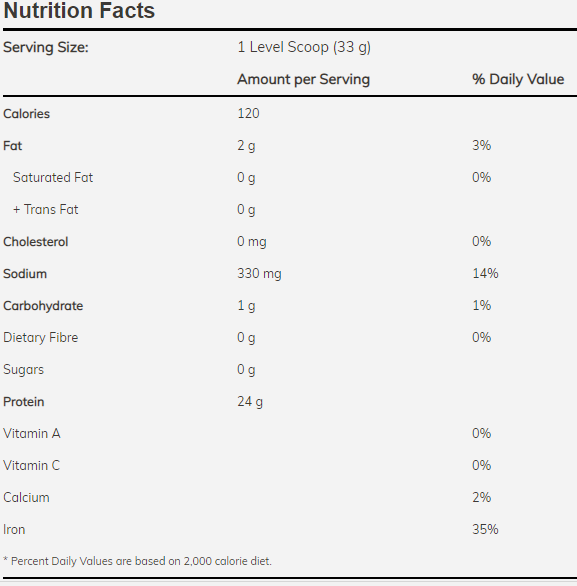 Each 1 scoop (33 g) serving typically has over 4,200 mg of branched chain amino acids, and over 2,000 mg of L-Arginine. Directions: Add 1 level scoop (33 g) daily to 8 oz. of cold water, juice, or your favourite beverage, and blend. Store in a cool, dry place after opening. Please recycle container. Good product to use making vegan treats. I found this product to have an oddly intense savory, almost meaty taste - I found it strong and unpleasant in sweet things (like smoothies) but much more palatable mixed into broth or soup. Finally, a protein powder that does not taste bad. It blends into my smoothies very well, and I can barely taste it.